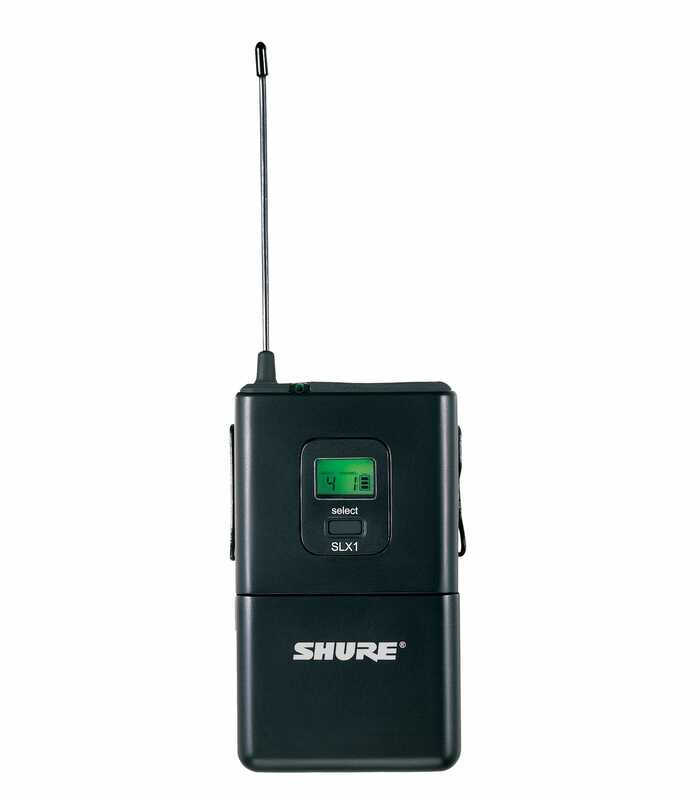 Shure SLX1/L4E SLX-Series Pocket Transmitter - display with group, channel and battery, infra-red frequency transmission thomann from the receiver, 960x switchable frequencies, lock for menu and on-off switch, 2x 1.5V batteries, TQG-plug for microphone or instruments. Frequency range: L4E 638-662 MHz, up to 7 systems parallel. SLX1 L4E Wireless Bodypack from Shure is 100% original and is available at NMK Electronics. Speak to our expert for booking a live demonstration. After sales customer service is an integral part of our business ethic and is taken very seriously.